The NSW Department of Lands has launched a geographic information services website that will outdo Google Earth in its coverage of NSW. Nik Software has introduced a series of free daily webinars (online seminars) to introduce photographers to the company’s digital photographic tools. The Nikon Club has embarked on a series of “Nikon School by Correspondence” courses covering traditional and digital photography. 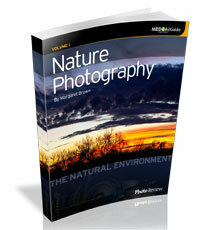 Authored by Photo Review’s Margaret Brown, Nature Photography Volume 1: The Natural Environment is a fully illustrated guide to superb landscapes, seascapes, shoreline and weather events as they impact on the environment, including how to create dramatic pictures of storms, lightning strikes, misty scenes and rainbows. Nikon Australia has started a new Nikon School, which offers hands-on classes in various aspects of digital photography. L&P Photographics in Sydney is holding an open day on 12 September to showcase the latest Nikon equipment to photographers. Microsoft has launched a special website dedicated to professional photography and featuring galleries, profiles of photographers and articles relating to professional photography practice. 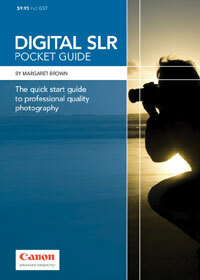 Photo Review today released a Pocket Guide for buying and using new-generation Digital SLRs. The Digital SLR Pocket Guide offers straightforward advice on choosing the right model, developing picture-taking skills, and how to use camera functions and settings. 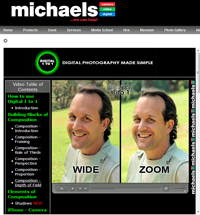 Leading Melbourne-based retailer, Michaels Camera Video and Digital, has added to its extensive in-house photo education program with a well-produced series of online lessons – free to all Australians keen to improve their picture-taking skills. Bryan Siebel and Stephen Stewart will share their expertise at a Masters of Light workshop at Phase Studio in Sydney on Saturday, 20 September.